Point Lonsdale Back Beach has a lot of potential but, unfortunately, lacks consistency. It picks up lots of swell and the waves have plenty of power, but sadly the banks don’t line up all that often. When the banks do get good, the surf is fun and of good quality. 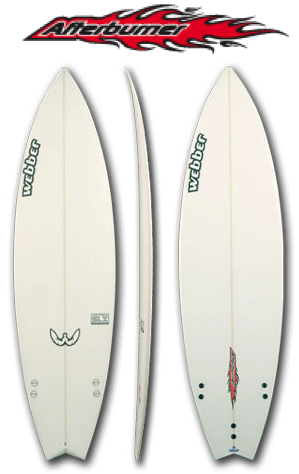 Expect waves peeling left and right, ideal for turns and the odd barrel section. Park on Ocean Road a couple hundred meters west of Glenuyes, and walk over the hill and down onto the beach. The Back Beach is watched over by the Surf Life Saving Club so you can’t miss it. The break is mostly sand with reef either side. On any given day, good waves will pop up on these reefs to east and west. Don’t be tempted to surf directly in front of the lighthouse. If the tide is going out the current sweeps along the beach towards the Port Phillip Bay and, as the ocean rushes out of the heads, you can easily be caught and dragged away into Bass Straight. The surf at Back Beach will always be one to two foot smaller than that at Thirteenth Beach. Point Lonsdale Back Beach definitely has its good days, but they don’t come often enough.